+ Erin Dufault-Hunter, assistant professor of Christian ethics, in an essay available here. Whether it’s an interfaith panel or “die-in” demonstration (pictured below), a protest march or discussion about women in leadership, Fuller is committed to civil dialogue among those who agree or disagree—a commitment that has always been part of our ethos, as reflected in words on this page from our early presidents. In this election season and at all times, Fuller seeks to be a place where issues and differing beliefs can be expressed, heard, and responded to with kindness and Christlike grace. + Richard Mouw, Fuller’s fourth president (1993–2013), from an interview with Krista Tippett on the On Being radio show and podcast. Dr. Mouw suggests in his book Uncommon Decency that political engagement “requires a heartfelt commitment to your fellow-citizens” and the desire “to promote the well-being of people who seriously disagree with you on important matters.” Hear Dr. Mouw discuss “convicted civility” with Mark Labberton on the new FULLER studio podcast Conversing. + Edward Carnell, Fuller’s second president (1954–1959), from his inauguration address, available here. 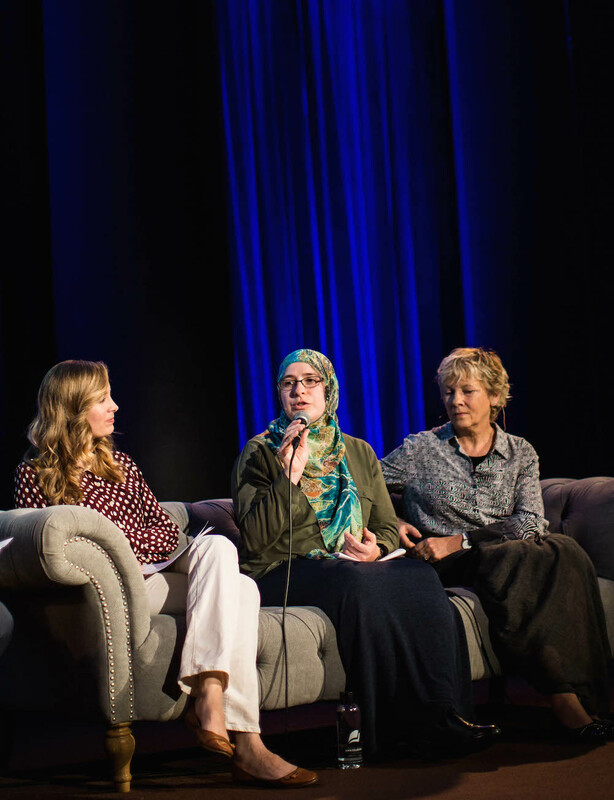 + Pictured left to right: Michal Meulenberg, Fuller PhD student and cofounder of Miss Understanding; Duaa Alwan, certified speaker, Muslim Speaker Network; Evelyne A. Reisacher, associate professor of Islamic studies and intercultural relations. They were joined by other guests at FULLER dialogues: Muslims and Christians, an event to foster understanding and compassion between Muslims and Christians. Watch more from the event here. + The “Turbulent Church in the 21st Century” was an ecumenical gathering held in Chicago to discuss politics, society, and the church. Listen to lectures from the event here. + Oscar García-Johnson, associate dean for the Center for the Study of Hispanic Church and Community, at the “Turbulent Church in the 21st Century” event. + Mark Labberton, president of Fuller Seminary, from his comments at the “Turbulent Church in the 21st Century” event. + Glen Stassen, the late professor of Christian ethics at Fuller, and David Gushee, in their book Kingdom Ethics: Following Jesus in Contemporary Context. + Tommy Givens, assistant professor of New Testament studies, from “The Politics of the Church in the World,” a forthcoming essay in Precepts, republished here with their permission. + Willie Jennings (MDiv ’87), associate professor of theology at Duke Divinity School, at the “Turbulent Church in the 21st Century” ecumenical event. + Scott Cormode, director of innovation and professor of leadership, in an essay reflecting on his experience preaching about politics at his church, available here. + Fuller’s Story Table, pictured above, takes a theme from FULLER magazine and brings it to life at the dinner table. 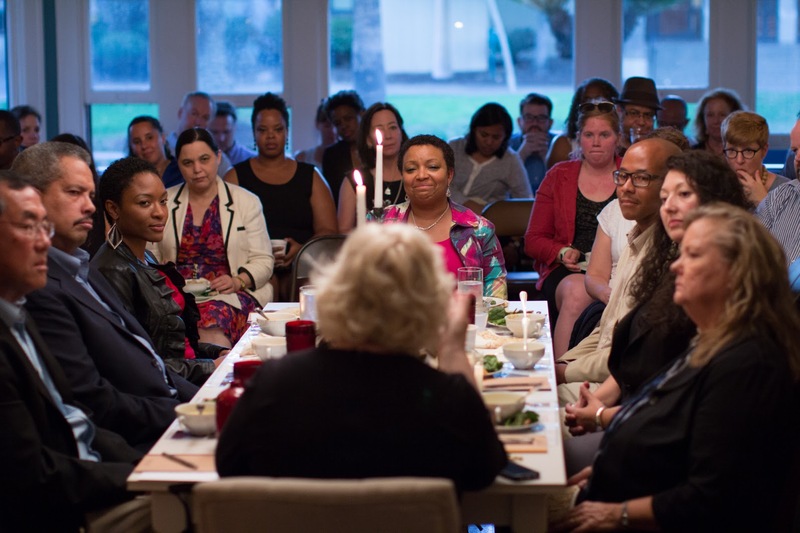 Guests who embody the theme in unique ways tell their stories around the table, and members of the community are invited to listen in. It is in this context that we introduce complex issues like reconciling race, psychology and theology, and women in leadership. 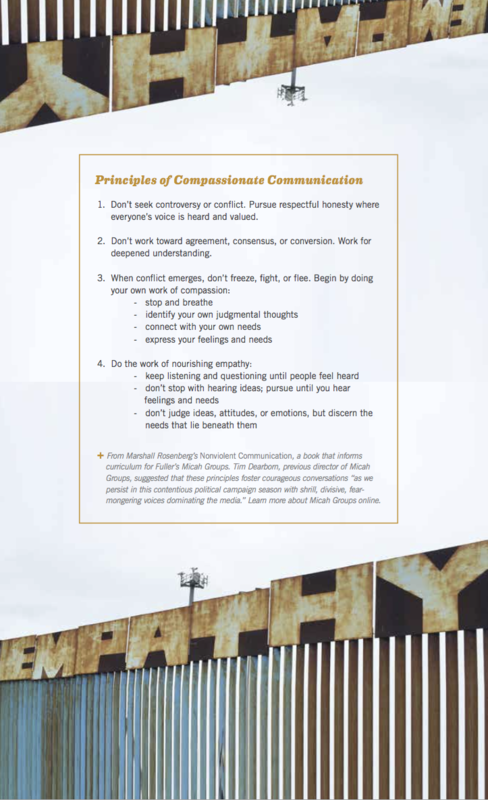 While we may not all agree, the table creates space for engaging one another with vulnerability and compassion, no matter what our convictions might be. + Chinaka Samuel DomNwachukwu (PhD ’99) on the “polarization of the American political landscape” in his book Multiculturalism: A Shalom Motif for the Christian Community. + Sponsored by the Office of Spiritual Formation, MDiv students Lauren Grubaugh and Jennifer Guerra led a group of faculty and students on a trip to the security wall dividing California and Mexico (pictured above). 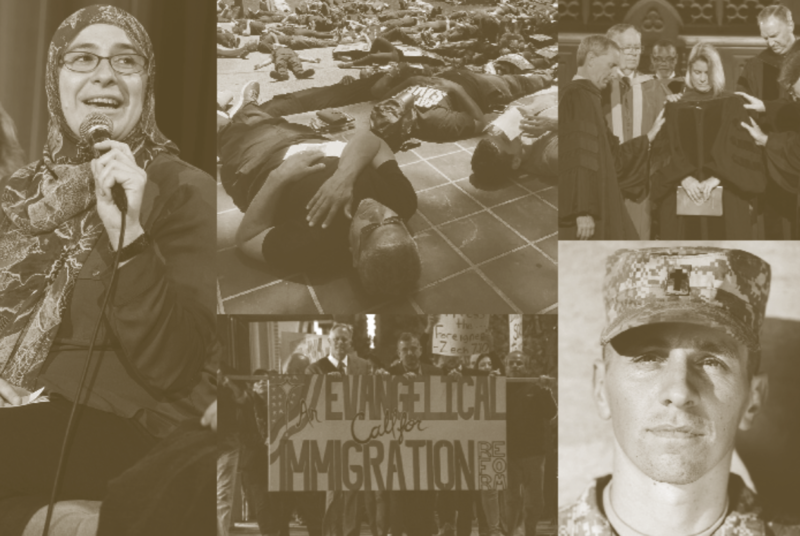 Their experience, framed as a “border pilgrimage,” reoriented abstract debates into a human struggle that requires empathy and compassion in the midst of complex political issues.